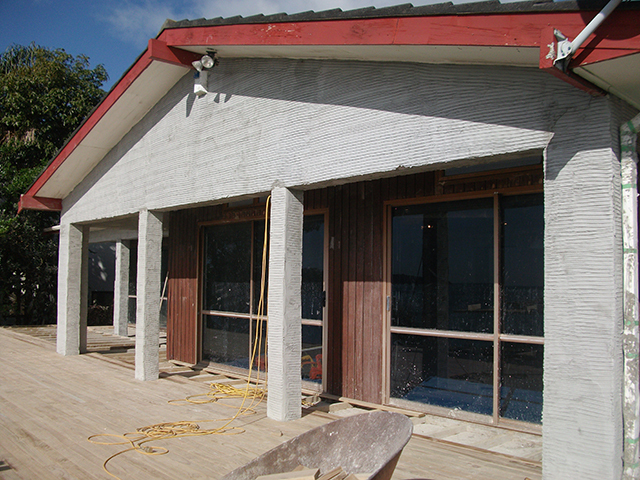 Our team at Northern Concrete Cutters performs all aspects of concrete cutting. 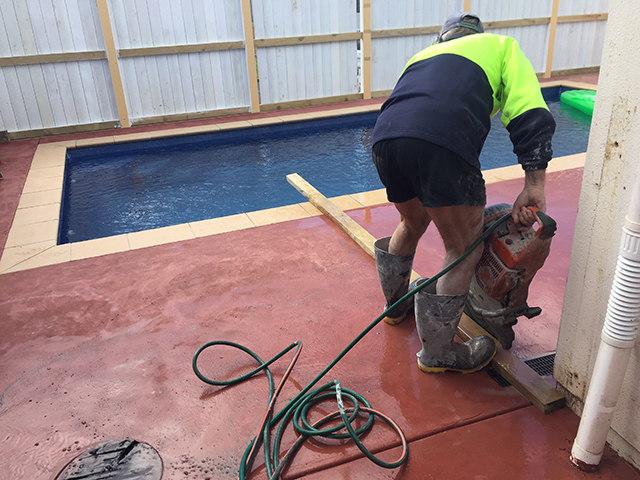 We have over 40 years’ experience and both large and small concrete cutting jobs are all expertly completed. Our hand saws can cut to a depth of 260mm which covers most situations. When cutting walls to the depth of 600mm, we most often use hydraulic wall saws. When working indoors, we use high-frequency electric hydraulic saws in order to eliminate dangerous carbon monoxide fumes. Safety is paramount at Northern Concrete Cutters. We can cut out driveways, slabs, paths and kerbs in asphalt or concrete. We use diamond saws for speed, efficiency and to minimise disruption, damage to the road surface or mess on the project. Roads can successfully be cut to depths of 300+mm. 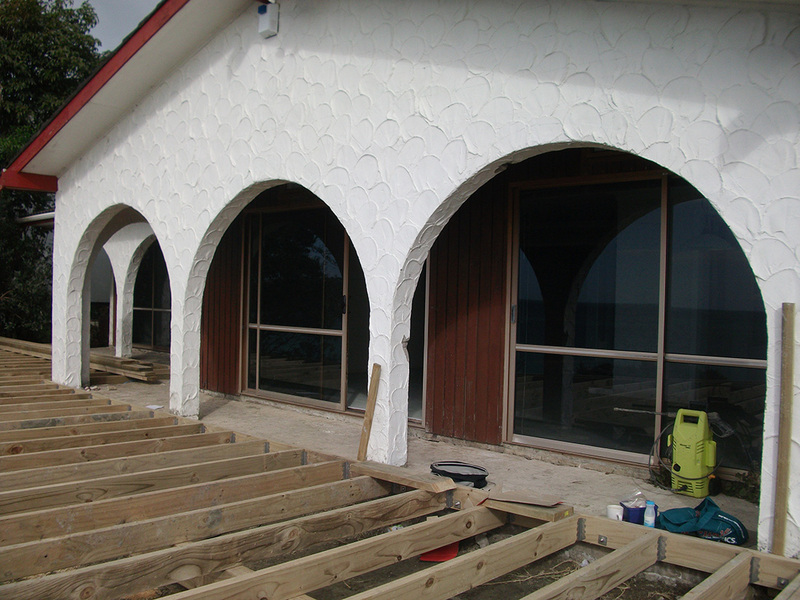 We can carry out fine renovation work. Using a specialised machine which permits close cuts to floors and walls, flush cutting creates a flat surface over an area greater than the cutting depth of its blade. The blade is mounted to the right hand side of the saw and can cut flush with walls and the floor. 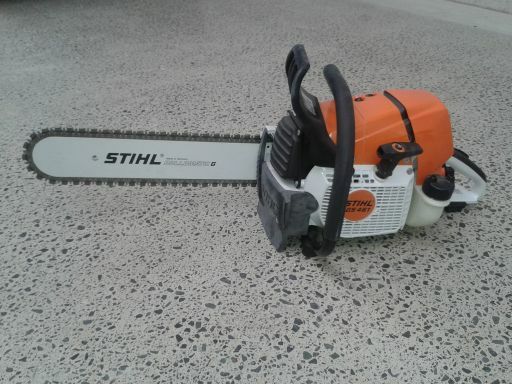 This saw will cut to a depth of 150mm, but with the aid of a breaker, can cut to any depth. When working indoors, we use high-frequency electric hydraulic saws in order to eliminate dangerous carbon monoxide fumes. Safety is paramount at Northern Concrete Cutters. Fine cuts for expansion and contraction joints can be made to help prevent cracking in concrete. 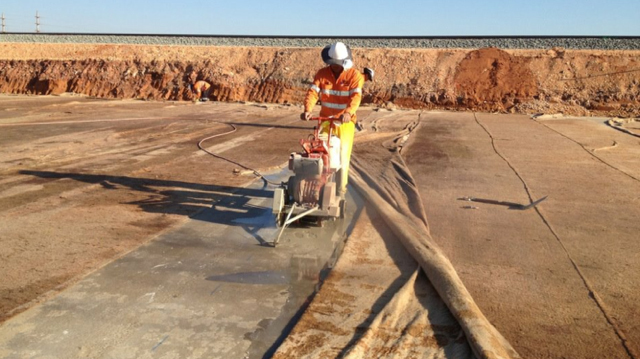 Expansion cuts are used to allow the slab to crack under the cuts whilst curing. 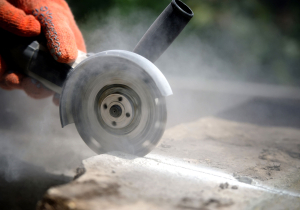 We specialise in green cutting and only use good quality blades to eliminate the chipping of the concrete. 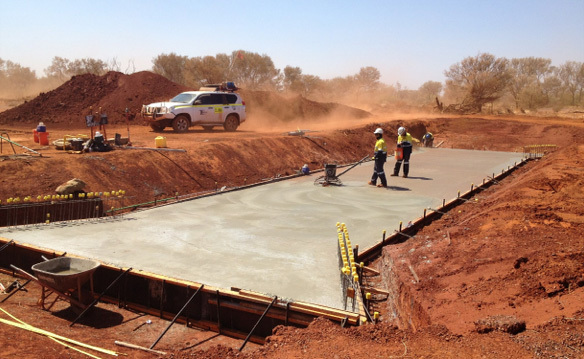 All of our trained crew at Northern Concrete Cutters are proficient at working from engineers’ drawings. We can cut through concrete, masonry and brick without damaging the existing wall. We can cut for pipes, cables, doorways, windows or to create extra space. When cutting doorways, windows, or any opening, petrol powered or hydraulic hand saws are most commonly used. They are also commonly used for waterproof flashings and chasing cables and pipes in to walls. Hand saws can cut to a depth of 260mm which covers most situations. Hydraulic wall saws are most commonly used when cutting walls to the depth of 600mm. 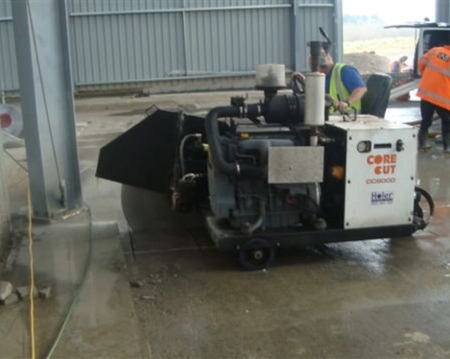 Soft cut sawing uses a unique blade, up-cutting rotation and a skid plate for even pressure to the concrete surface. In order to minimise the risk of random cracking we can cut concrete within the first hours of finishing and before the final set. Bar saws resemble wood chain saws but have a diamond encrusted chain. 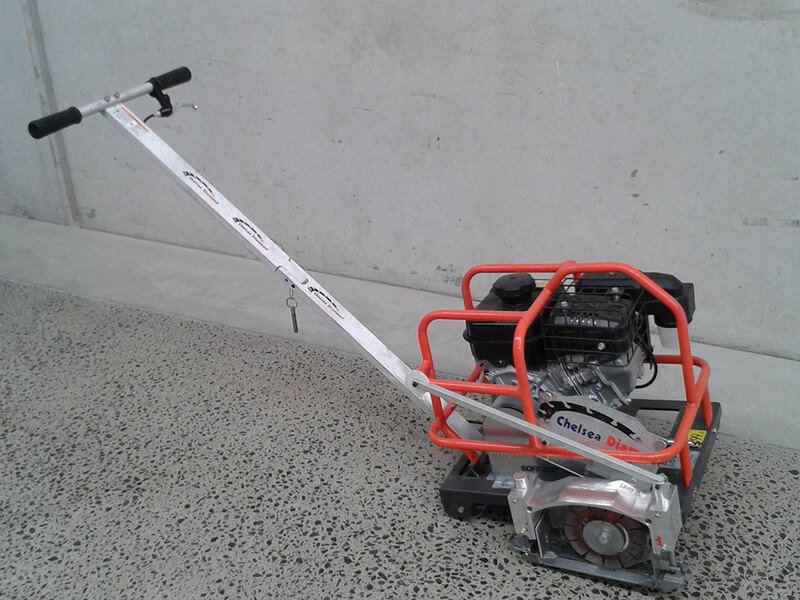 At Northern Concrete Cutters we use both petrol and hydraulic powered bar saws that can cut to a depth of 500mm. We can cut perfect corners without over-cuts on openings as small as 150mm x 150mm. Chain or bar sawing is good for small openings where a conventional ring saw is too large. 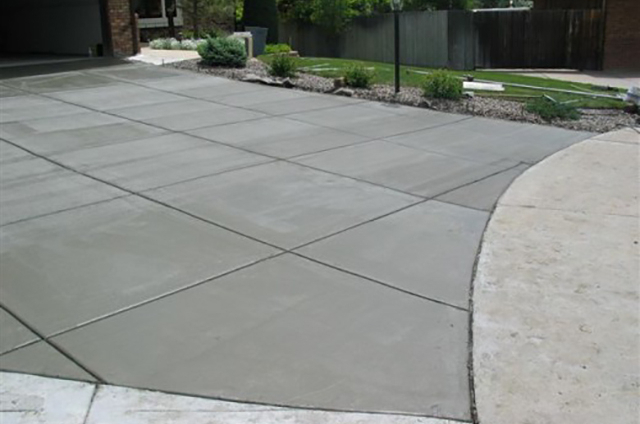 Transform your concrete driveway, floor, patio, pool area or paving with our decorative concrete services. A cost effective means of adding eye-catching designs to any concrete surface. Cutting concrete is a specialised skill. All our staff have Site Safe Passports, along with New Zealand Concrete Sawing and Drilling safety certificates which are updated every two years. Our concrete cutting tools are regularly serviced and we only use high quality blades. We always operate under strict safety guidelines. 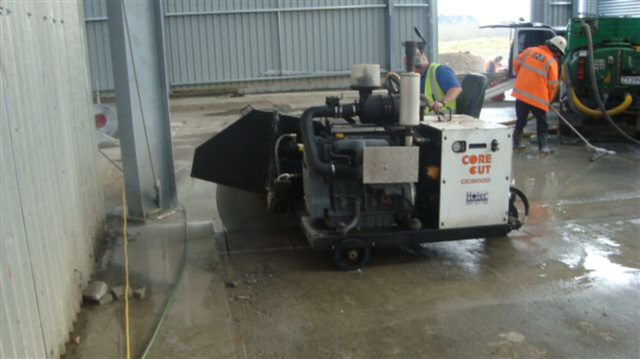 Our team are all trained and are very experienced at handling our concrete cutting equipment.